The Azerbaijani Ministry of Foreign Affairs has responded to the Armenian prime minister’s recent address in Strasbourg – calling upon the country’s top leadership to give up its belligerent rhetoric and repeated threats. It cited the 1975 Helsinki Final Act, highlighting particularly the principle of “non-use of force or threat of force”, Trend News Agency reports. The Ministry also re-emphasized the call for withdrawing Armenian troops from Nagorno-Karabakh (Artsakh) as a precondition for the “maintenance of security in the region”. 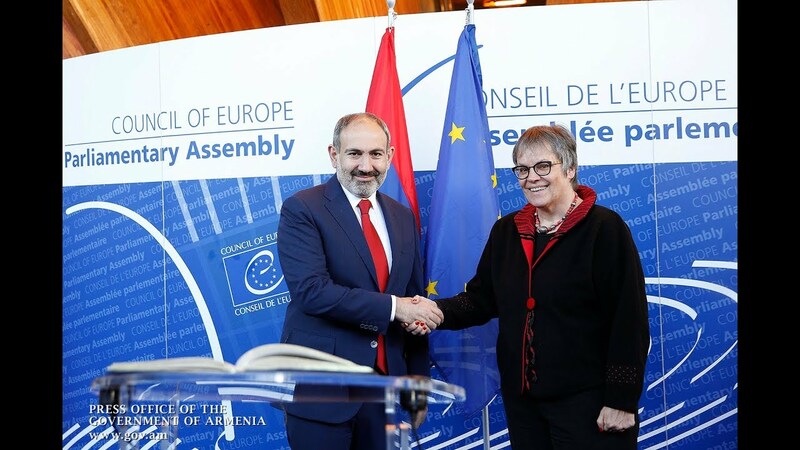 Pashinyan voiced his call at a news conference held jointly with Council of Europe (PACE) Secretary General Thorbjørn Jagland. The prime Minister is in Strasbourg for a working visit to participate in the Spring Session of the Parliamentary Assembly of the Council of Europe (PACE). Also on Thursday, he made a speech at the PACE Plenary Session to urge the top European parliamentary body to give due attention to the democracy strengthening and civil society development of Artsakh.